Vladimir Putin to have a telephone conversation on Syria situation with Angela Merkel, David Cameron and Francois Hollande on March 4. 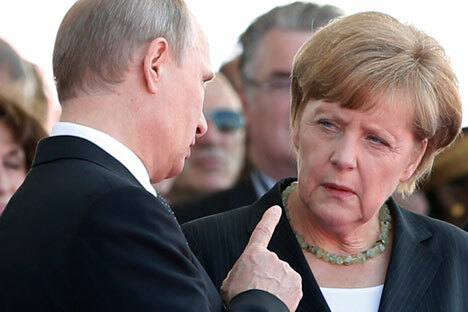 Russian President Vladimir Putin plans to have a telephone conversation in regard to the Syria situation with German Federal Chancellor Angela Merkel, British Prime Minister David Cameron and French President Francois Hollande on March 4, Kremlin press secretary Dmitry Peskov has told Interfax. Peskov said 'yes' to the question whether the president was planning that conversation. A number of Western media outlets said earlier on March 3, with reference to Downing Street, that British Prime Minister David Cameron planned to discuss the Syria situation with German Federal Chancellor Angela Merkel, Russian President Vladimir Putin, and French President Francois Hollande on the phone.